Stepping out and into a different realm of entertainment is not something new to me, however this particular night's event was indeed. 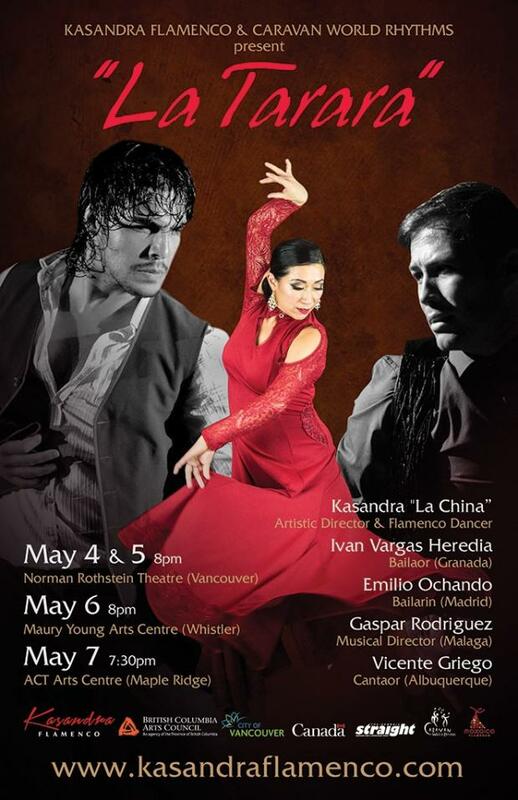 I have never before witnessed first hand the performance of dance that is Flamenco. 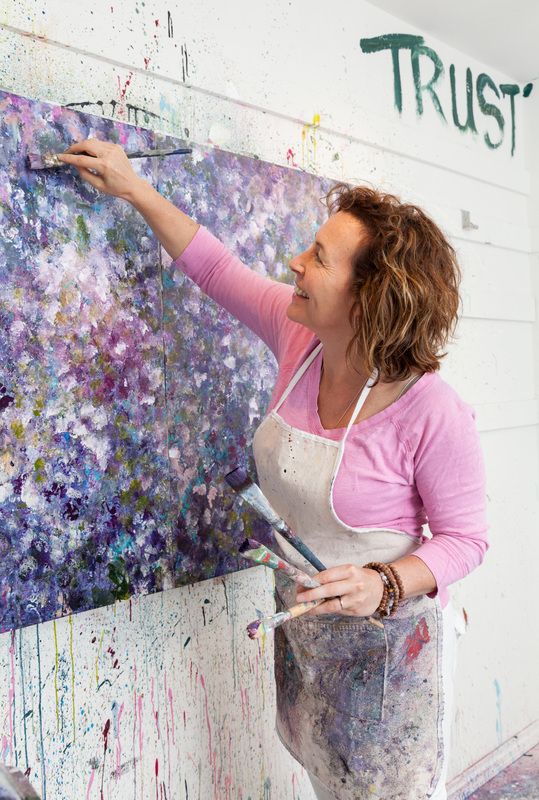 Ever interested to see and be able to appreciate art of all it's aspects is something I was taught from an early age from my mother who had such a passion for all the arts, being a painter, mentor and teacher as well. It was hard not to get some of that passion as well. 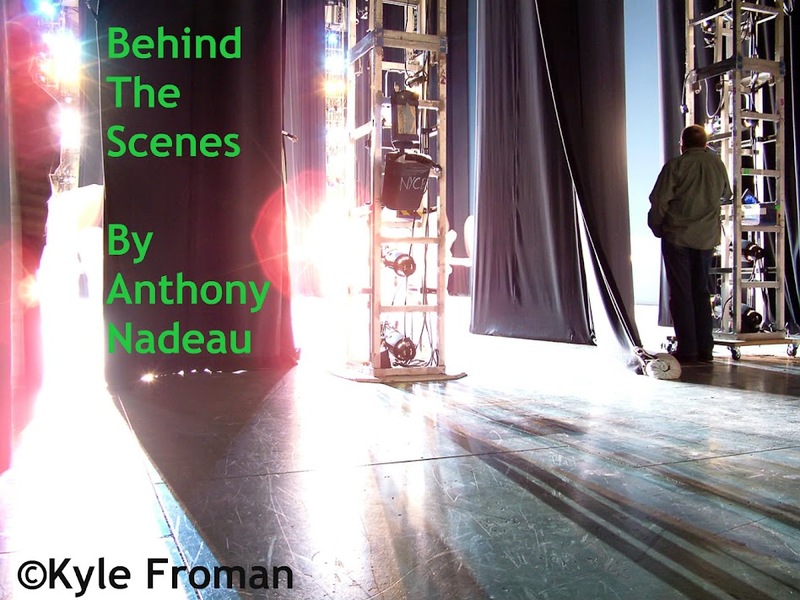 From the moment the dancers took the stage and started dancing I knew myself and the audience were in for a treat. Not having seeing this kind of dance before I know does not really give one a critical approach to the performance, but sometimes ignorance is bliss. Sometimes we just have to let the artist(s) express themselves as freely as the dance allows them to glide-seemingly- effortless across the stage. I can however appreciate what these talented people , dancers , singers , musicians have brought to the stage that night and what a powerhouse group in an almost capacity crowd anxious to witness the next spectacular move from the dancers from across the globe and many from Vancouver and surrounding areas. 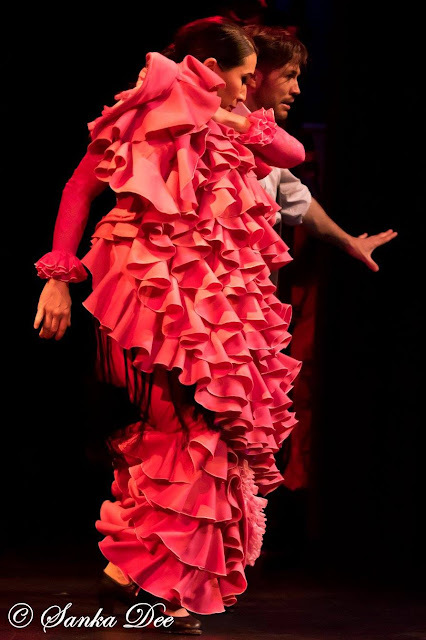 This was all brought about by the artistic Director and Flamenco dancer Kasandra "La China" whose amazing skill wearing the dress she has on in the picture above ,she dances ever so gracefully across the stage all while wearing heels as well under the train. Her male counterparts had what seemed a tiring time, where there was a battle of sorts. Imagine if you will a "dance off" of two amazingly skilled dancers from separate parts of the globe , that for the first time can dance on the same stage(more on that later in the small interview, later). I felt so privileged to have witnessed this event , to have seen this amazing talent first hand in a very limited performance as you first saw in the poster at the header of this review. There were only 4 performances of this event , so the lucky few had the extreme opportunity of a lifetime to witness such an event. Now I had reached out to Kasandra and asked if she had some pictures I could use for this review and she kindly sent me the ones you see here, minus the poster. She did ask me to credit Sanka Dee as I have above. Below I am honored to have words sent to me from Kasandra on how this event came about, thank you Kasandra. 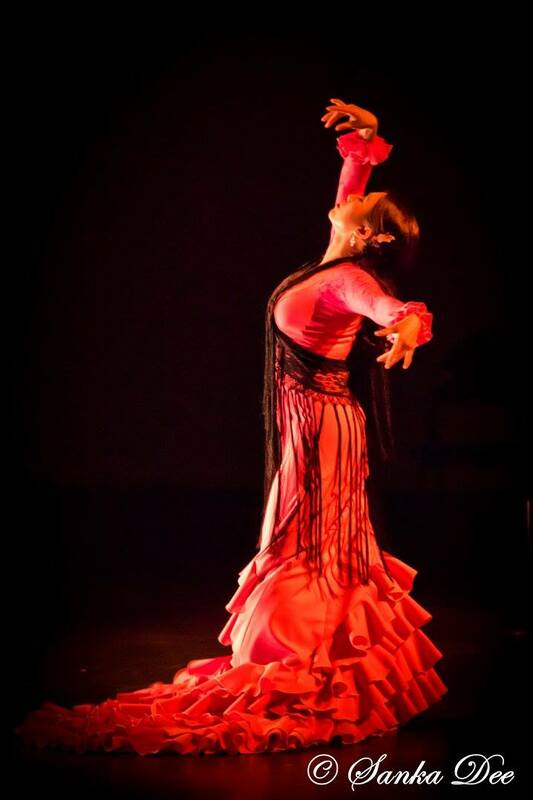 Bringing world class flamenco to Canada a difficult feat financially, but I am seeking inspiration and want to find an interesting chemical mix of artists. The artists of "La Tarara" come from varied backgrounds and the point of the show is that Flamenco is an individual expression and expresses universal human emotion. 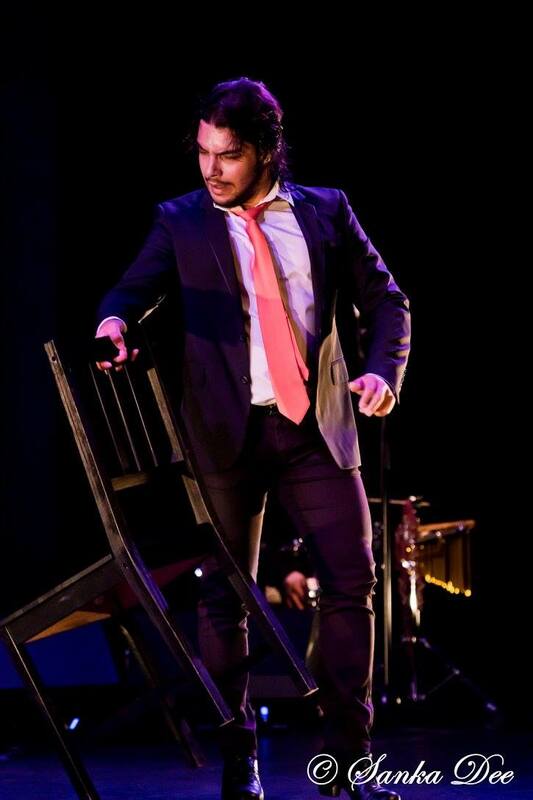 Ivan Vargas comes from pure Roma lineage from Granada and comes from a long line of famed flamenco dancers from "Los Maya" dynasty. Usually he performs only with his family and those of Roma origins. 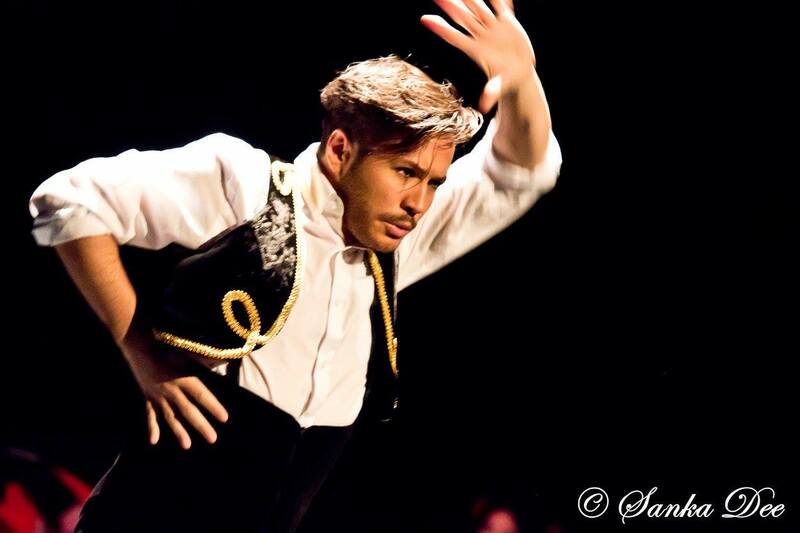 Emilio Ochando is Spanish and resides in the epicentre of all flamenco dance, Madrid. As such, his training from an early age in the academy and moving onto the national ballet of Spain, his technique is stratospheric and he only usually performs with Spanish artists. These two artists would never meet in Spain and this show would actually never happen there. There is some unspoken rule that these lines must not cross.